We are excited about supporting citizen science project by creating technology solutions to increase the impact and use of each project. David Bell is a lifelong birder who has spent his career in businesses devoted to improving the environment. His most fun project was helping to found the Reva Electric Car Company in India, which is now among the largest electric vehicle manufacturers in the world. Dave is the leader of our flock, an enthusiastic county birder, and a bit obsessive about product quality and data integrity. As an undergrad, Dave worked as research assistant to Ernst Mayr and ornithology curatorial assistant to Raymond Paynter in the MCZ. Years of intensive birding therapy have helped Dave partially recover from his undergraduate degree in Physics from Harvard, his Ph.D. in Robotics from the University of Michigan and MBA from Columbia. Dave’s job is to keep the trains running on time. 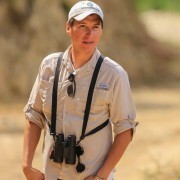 Rene Valdes is a Mexican birder and field ornithologist specializing in endangered species conservation and research. Rene is based in Monterrey and also consults on wildlife surveys, leads birding tours in Mexico, and is a wildlife photographer. When not birding (rarely happens), Rene reviews eBird records and hotspots in Mexico, and organizes the eBird-Mexico and Mexico Rare Bird Alert Facebook groups. He is also a regional compiler for North American Birds, and is the coordinator of the Breeding Bird Survey program (USGS/CONABIO) for the northeastern states of Mexico. Rene assists with text and image editing, as well as collaborating with our many partners on new and improved citizen science projects. Jake has always had strong desire to be outdoors and is continually seeking ways to further comprehend this beautiful, chaotic mess we call nature! He also works as an environmental interpreter in Charleston, South Carolina, and shares his passions with others by leading birding and nature-oriented tours. 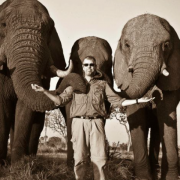 He contributes to many biological research projects in the area and is severely addicted to photographing wildlife. Jake is our project manager and works to facilitate the development and organization of new and on-going citizen science projects. You may recognize George Mayfield’s name from our support emails. George migrated away from corporate IT jobs to follow his passion for nature and tax write-offs for high tech toys. Today George leads our Help Desk and is happy to answer questions and provide application support for the entire app family. In addition to our feathered friends George is a bit goofy about elephants and just about any of the smaller critters that most sensible people shy away from. One our original founders, JP (Pete) Myers not only has a PhD in Ornithology with a focus on shorebirds, he is an accomplished biologist, environmental scientist, author and bird photographer. Equally impressive, Pete is the voice and production expertise behind our videos. When not in the studio, Pete is usually seen with his binos and camera pointed to the trees or across a lake near his home, or half way around the world. Pete has held posts as Senior Vice President for Science at the National Audubon Society, NYC and research scientist at the Academy of Natural Sciences of Philadelphia. 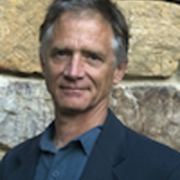 He has dedicated his life to a love of nature and the environment and continues to dedicate himself to environmental threats to children’s health, and coauthored "Our Stolen Future", a book which explores the scientific basis of concern for how contamination threatens fetal development. "Look closely at what is in your back yard and you will gain a sense of the power of evolution and the beauty of nature. Drew Weber is a birder and ornithologist living in central New York but originally from PA. His passions include introducing people to birding, finding new uses for technology in birding, and getting more people to use eBird. Drew hosts the Nemesis Bird blog where you can find the writings of several young birders. When he is not county listing with the help of BirdsEye, Drew assists us with app development project management, social media and running the North American Rare Bird Alert as the NARBA Project Manager. 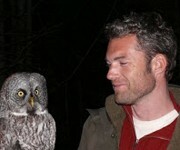 Oscar Johnson is a field ornithologist and biologist based in southern California. He spent much of his formative years birding and traveling with his family through North and Central America and the Caribbean. Since obtaining his B.S. in biology from the University of California Santa Cruz he has continued to travel and work as a field ornithologist on projects in Hawaii, California, and Arizona, interspersed with birding trips and guiding to the neotropics. When not birding, he can be found backpacking, rock climbing, fishing, and sailing. At his tender age, Oscar is already a former (and future) member of the California Bird Records Committee. 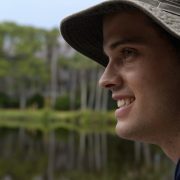 Oscar writes and edits text and photos for areas in which he has extensive field experience, including Hawaii, North America, Mexico, the Caribbean, Central America and northern South America. He also maintains the BirdLog and BirdsEye taxonomies in compliance with the Clements taxonomy. John van Dort is a Dutch native who started birding when he was 12. 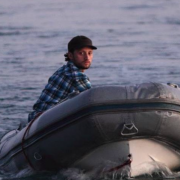 After grad school at Boston University, John became a member of the corporate rat race, first in New York City and later in Amsterdam, from which he eventually defected to become a birding bum, bouncing from one field biology and guiding assignment to the next, in places like Canada, the US, Mexico, El Salvador, Honduras, Nicaragua and Costa Rica. He currently lives in Honduras. 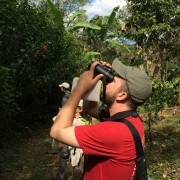 He is an eBird reviewer for Honduras; a regional compiler for North American Birds; a reviewer for Mexico and Central America for Butterflies and Moths of North America; an experienced bird bander and raptor counter; and a significant contributor to Xeno-Canto. John is our BirdsEye Editor for Latin America and focuses on developing our photo, text and sound libraries for Latin America. 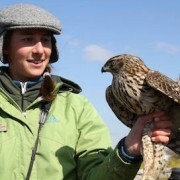 Jenna McDermott is a Wildlife Biology graduate from the University of Guelph who works as a field ornithologist. She has been involved in research projects affiliated with Canadian Wildlife Services, York University, Florida International University and the Newfoundland and Labrador Ministry of Natural Resources, to name a few. If you can’t find her working a contract or helping out at local banding stations, she is probably exploring nature, reading a book, or listening to bird songs in the living room, much to the bewilderment of the resident cat and people of the house. Jenna assists BirdsEye with editing third-party packages that are offered in the apps. Check out the complete list of all photographers who have contributed images in BirdsEye. Thanks to all for lending a hand to the BirdsEye Project! Kenn is author of the top selling “Kaufman Field Guide to Birds of North America”, and contributes the text for the North American species in BirdsEye! Kenn’s writing provides helpful birding finding tips and descriptions to help you identify and learn more about the birds you see. Kenn is an author, artist, naturalist, and conservationist, known for his work on several popular field guides of birds and butterflies in North America. In 1973, he nearly set the record for the most North American bird species seen in one year (671) while participating in a Big Year, a year-long birding competition. We have a special fondness for Kenn Kaufman Guides & Books. Ken is a big BirdsEye supporter and author of its descriptive text. Mat is a keen birder who was born and raised in Australia. He has contributed many of the bird images and is the author of the text that you see for the 800+ species in BirdsEye AU. Check out some great examples of the Gilfedders’ avian and wildlife photography. Mat has a PhD in hydrology and enjoys his day job as a senior research scientist at the CSIRO. He is also an avid eBirder and one of the eBird regional editors for Australia, Indonesia and Nepal. Many thanks to the Mat and his wife Cathy for bringing the world BirdsEye AU! Dan was introduced to birding by John Trott, his seventh grade teacher. He became a protégé of Roxie Laybourne of the Smithsonian, earned his B.S in Biology from Antioch College and a Masters and Ph.D. in Vertebrate Zoology from Louisiana State University under George H. Lowery, Jr. While graduate students, Dan and his wife Erika, studied birds in Peru and Ecuador, during three expeditions from 1972 through 1976. Dan’s dissertation explored the habitat partitioning by antbirds in Limoncocha, Ecuador. During one South American expedition, Dan discovered a new avian species, which he named after John P. O’Neill, Nephelornis oneilli. Dan and Erika also have a bird named after them, Pipreola reifferi tallmanorum. Dan and Erika spent their professional life teaching biology at Northern State University in South Dakota. After nearly thirty years, they retired to Northfield, Minnesota, where they photograph and band birds, and recently began studying dragonflies. David is a Biology major currently at Southern Adventist University near Chattanooga, TN. He started birding at the age of 10, sparked by bird song CDs his mom gave to him as a Christmas present. He loves birding with other young people, and insistently encourages everyone he meets to use eBird. David has made a few trips to other countries, but is quite happy to bird locally, especially on his property in Ringgold, GA. In addition to birds, he enjoys butterflies, dragonflies, reptiles, amphibians, and mammals. Andrew works for Athletes in Action, which has taken him to a couple dozen countries and to Tucson, AZ for the last 14 years. The first bird he remembers is an Eastern Screech-Owl, seen in his native Tennessee with his father and grandfather when he was 11. Early involvement with the Tennessee Ornithological Society gave him a lifelong passion and appreciation for birds, and lots of great friends who just happened to be 40-50 years older than him (which was good, because they could drive and they knew where the birds were). Andrew serves on the Arizona Bird Committee and as the eBird reviewer for Santa Cruz County (AZ) and hotspot editor for Arizona. He has compiled the Tucson RBA since 2010, and enjoys creating maps for birders. His favorite place to bird is Sweetwater Wetlands in Tucson, where there is always something interesting. Andrew is blessed with four children and his wife Shannon, who loves college football as much as he does, if not more. Jack almost single-handedly contributed photos for nearly every species of bird in Hawaii, and also for hundreds of African birds. As a long time resident of the Big Island of Hawaii, wildlife biologist, photographer and birder, Jack, is intimately familiar with Hawaii’s hidden valleys, remote rainforests and rare birds. He brings to his images the knowledge from over 30 years of observation and study of Hawaii’s endemic birds, as well as those from around the Pacific. He combines a naturalist’s curiosity with a photographer’s patience and technical skill to produce beautiful images. Jack contends’ that “Public awareness is the greatest asset to Hawaii’s imperiled species”. Jack is the recipient of the prestigious National Sierra Club 2002 Ansel Adams’ Award for Conservation Photography, U.S. Fish and Wildlife Service Endangered Species Recovery Champion Award, Nature Conservancy of Hawaii Kako’o Aina Award, Hawaii Chapter Sierra Club Conservationist of the Year Award, and Hawaii Audubon Society Conservationist of the Year Award. Jack is co-author of two books, “Hawaii’s Beautiful Birds”, and “The Pocket Guide to Hawaii’s Birds”. His photographs been featured in numerous local, national, and international magazines, books and calendars. Kasia loves birds and bird photography. She photographed many of the Japanese and East Asian birds in BirdsEye. Kasia was born in 1977 in Warsaw, Poland, and studied Japanese philosophy at Warsaw University. After graduation she moved to Japan for further study, and as it happens to marry and stay there for good. Since she was a little girl, Kasia has been interested in wildlife and has enjoyed watching the local animals and bird life. Her husband – also a birder – introduced her to wildlife photography, and her bird photography became a special passion. Kasia is also a programmer for a mid-size company. Her ideal job would be one that allows her to use her web and language skills in combination with her love of birds and photography. Chris has been an active birder since 1985. Based in Norfolk on the east coast of the UK he is a keen local birder mixing the local stuff with the odd UK twitch. Having birded all over the Western Palearctic region Chis has been spreading his wings further afield in recent years – into Asia, Africa and South America. He has led birding tour groups throughout the Western Palearctic with a particular interest in the Middle East, and also undertaken a variety of bird survey work including the Israeli Soaring Bird Survey as well as more locally based projects. More recently Chris is dabbling in the dark art of bird photography – he claims, “with mixed results”, but we know better! Keen to help other birders Chris includes trip reports and travels on his website and blog in the hope they will prove useful for others planning their trips. Jeff started watching birds at age 9 and acquired his first camera while in high school. He used primarily Pentax 35mm equipment for over 25 years. Like many people his desire to photograph would wax and wane. Then, in 2001 Jeff purchased his first digital SLR. That event completely renewed his interest in photography. It also required a complete change of equipment to Canon gear. Jeff enjoys traveling to new areas to see different birds and wildlife, and loves the challenge of photographing many different types of animals in a wide variety of conditions. JC Knoll became an avid birder at the age of 9 while working on a Cub Scout project to identify ten birds in his yard. What he thought would be an impossible task turned out to take only a few minutes, but by then he was hooked! This experience opened his eyes to a world of appreciation and wonder. Since then, birding has been a constant source of enjoyment for JC. JC got into bird photography in 2005 and has pursued it whenever time permitted. A retired naval officer, he lives in southeast Georgia and photographs birds mainly in southern Georgia and northern Florida but enjoys several trips a year to look for birds and other natural wonders. 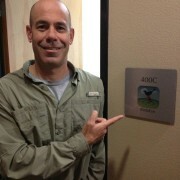 Bill Adams is a birder and bird/wildlife photographer from Duncan, OK. He started getting more into birds about 9 years ago when he saw a Pileated Woodpecker land outside his apartment. Soon after that he got his first DSLR so he could take pictures of the birds he saw and later look up their ID’s. His main interest is bird photography, but will photograph just about anything. When not working for a local university, he enjoys traveling anywhere in Oklahoma to photograph birds. Gerald Hoekstra is an avid birder and photographer from Northfield, Minn. Although most of his birding has been in the Upper Midwest, he has birded throughout North America. He is a member of ABA and Minnesota Ornithological Union. By profession Hoekstra is a Professor at St. Olaf College, where he teaches courses in music history and directs the college’s early music ensembles. When not at work or out birding, Hoekstra enjoys cycling, cross-country skiing, golf, and travel. Chris’ beautiful images highlight his talents as a birder and photographer, and reflect a strong love of nature in general. When not performing his duties as a software engineering manager at Aeorflex in Lenex, KS, Chris enjoys travelling to far off places such as South Africa, Ecuador, Peru, Brazil, Costa Rica and England. He is especially fond of the Mindo area of Ecuador, and the Antpittas (Grallariidae). His most memorable birding experience was seeing his first Resplendent Quetzal in Costa Rica. When not travelling, Chris enjoys the company of an awesome miniature Australian shephard named Callie. Alex is the lead writer and photographer for NemesisBird.com. He is currently working for the Center for Conservation Biology, studying migrant Whimbrel and other coastal birds of Virginia’s eastern shore. Alex is also studying Wildlife Biology at the Pennsylvania State University, while also trying to track down as many new Centre County birds as possible. An avid birder since 8 years old, Alex has since been able to travel not only across most of the United States, but also to Central America and Southern Africa in search birds. Raptors, shorebirds, and warblers are among his favorite groups of birds to observe and photograph.